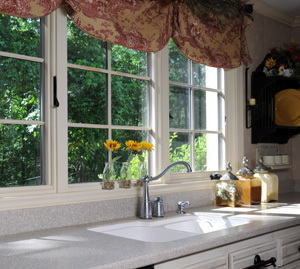 Infinity Home Improvement installs high-quality replacement windows and doors in a variety of styles and materials. Our experienced professionals will work with you to determine the best fit for your home's needs and appearance, and we will provide you with a hassle-free installation. 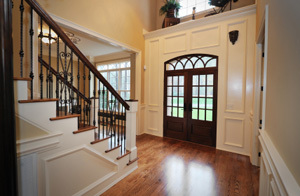 If you want to upgrade your home with new windows and doors, call us at 1-844-329-3277 today or contact us online. We offer free estimates on all our work in Wyoming, Kentwood, Grand Rapids, and the nearby areas! "Very happy with the work! The crew was awesome!" "We have purchased both the gutter helmet and new windows..."
"I have been happy customers since 2011"
"They did a perfect job on our new front door." The experts at Infinity Home Improvement will help you find the perfect solution for your home and give you a high-quality installation. Call us today to get started with a free estimate in Wyoming, Kentwood, Grand Rapids, Holland, Walkerville, Rockford, Allendale, Lansing, Kalamazoo, Battle Creek, and the surrounding areas!